We welcome medical women from all specialties and backgrounds. In every stage of your medical career you will find an unrivalled network of women doctors through MWF. Whether you are looking for support or willing to provide it, with the MWF you can help us shape the future! Support with Awards – we are a nominating body for ACCEA and give support with individual applications from women. We also nominate Medical Women for the Women in the City Award and the Woman of Achievement Award. MWF is a supportive community which will help boost your CV, confidence and career through to retirement! "For many years I thought that the fight had been fought and won and that we are all equal, but on several occasions throughout my medical career I have been given reason to understand that this is not so - most recently when at the ARM I was advised that I should have been at home looking after my children rather than busy with Medico-politics! The kids always get really excited when I'm mentioned in the Papers or on the radio or TV but best of all is when they say to my husband "You need to work harder, there's nothing about you when we 'Google you' unlike Mummy" and the older ones follow me on Twitter!" Dr Helena McKeown Portfolio GP Principal: Chairman of the BMA's Committee on Community Care, Vice chairman of Wiltshire LMC, BMA Council member, RCGP Council member, GPC member, Member of the Standing Commission on Carers, Honorary Secretary of the BMA's South West Regional Council, County Councillor, Executive Committee member of the Transport and Health Study Group and GP appraiser! 5 Great Reasons to Become a Student Member of MWF! – Just £25 a year! • Support and Advice - As part of the largest body of female doctors in the UK, you will be in contact with doctors from all branches of the profession, who are always willing to offer support and relevant careers advice. • Support and Advice - As part of the largest body of female doctors in the UK you will benefit from our officers and members, who are always on hand to give support and careers advice or put you in touch with the relevant body. 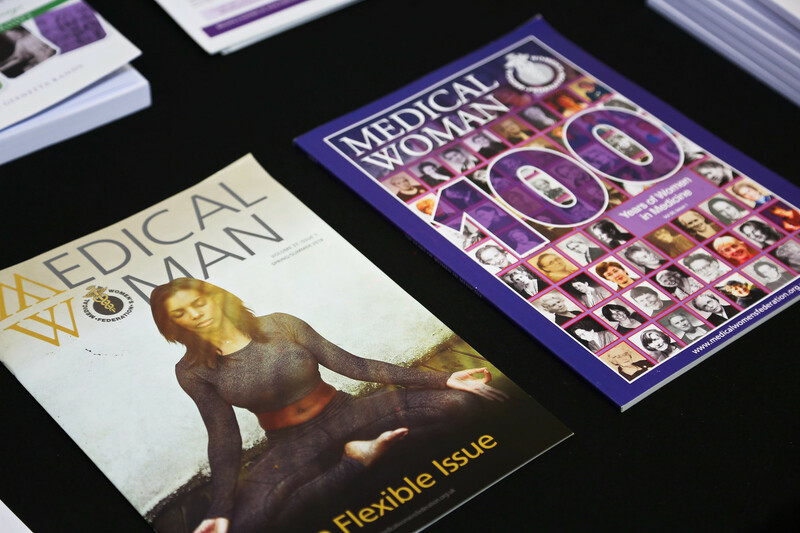 • Chance to be published - As a member you will receive our magazine, Medical Woman, twice a year. This contains relevant articles to all women doctors at all levels. Members are encouraged to contribute; offering the chance to be published in a peer read publication. • National Conferences - networking & CPD Points - We hold two major conferences a year; members receive discounted prices and are invited to present abstracts. Conferences give an excellent chance to network and improve your professional knowledge in a safe environment. • Networking - We offer a special reduced rate to students wishing to attend our national meetings. These events give an opportunity to meet fellow students and doctors, as well as being educationally worthwhile. • Retired Members - We offer an informal oportunity to keep in touch with medical world, through our conferences and networking events. Retired members also have the oportunity to mentor our younger members. • Medical Woman Magazine/Monthly Newsletter - All members receive our journal, 'Medical Woman' twice a year. MWF members also receive our monthly e-newsletter, which contains important and up to the minute news as well as information on future events, advice and tips on careers. • Local Groups - As well as joining a national organisation you become part of a smaller, local group. Local Groups organise social, medical, careers and other events. Local groups also provide opportunities to take part in MWF committee work at a regional level. • ACCEA Awards - MWF is a nominating body for ACCEA awards. We put forward citations to accompany members' applications. There is also a chance to receive feedback from MWF Officers who hold ACCEA awards and sit on ACCEA committees. • International - The MWF is an active member of the Medical Women's International Association (MWIA) which has worldwide membership and hosts an annual congress. By becoming a member of MWF you gain free membership of the MWIA. Why not give the gift of MWF membership to to a colleague, friend or family member?